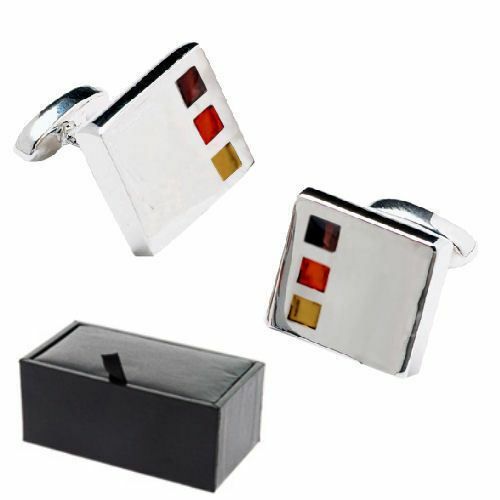 Our classic chrome square cufflinks are set with small brown, orange & yellow enamel squares to give an elite touch making it worthy of a special gift for someone special. 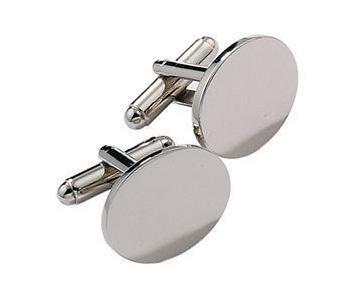 The cufflinks are made in chrome with a strong T bar and come packaged in a black gift box. Gift boxed, the face of these cufflinks can be engraved. Rectangular wedge design formal cufflinks featuring a row of pearls down one side, they are made to the finest detail.